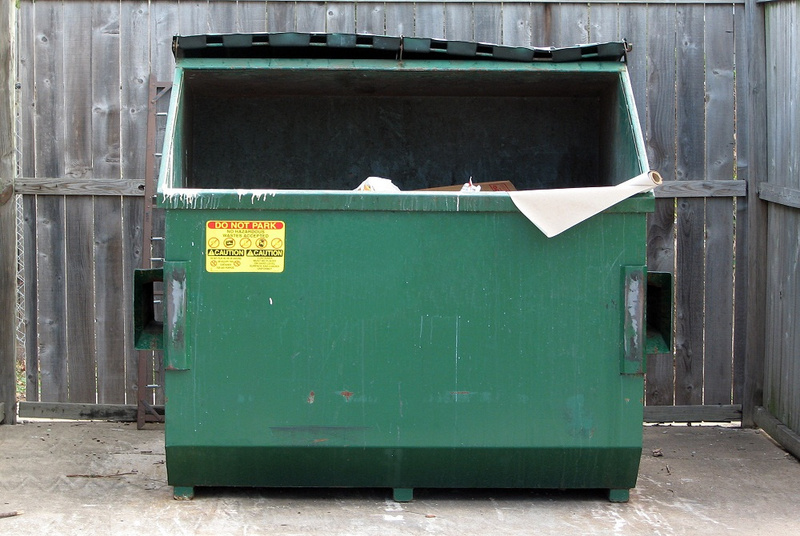 Utilizing a dumpster during a home cleanup project or during construction alleviates making multiple trips to the dump, and it makes it easier to quickly dispose of waste. Your container, however, is not equipped to handle all waste; some can pose an environmental threat while others could create a health or safety hazard. In other cases, there are federal, state or local laws that prohibit certain substances from being thrown into a landfill. Read on for a general tutorial of safe disposal intel on waste disposal. These regulations cover most solid waste disposal restrictions. But if you have questions about specific products, contact your waste removal company or dump site personnel to find out what the proper protocol is. Yard Waste: Anything you produce that is the result of yard work can generally be thrown into a dumpster. This includes grass clippings, tree and bush trimmings, branches or leaves. Items such as logs or rocks are usually not allowed and if included in your dumpster, can greatly increase the weight, cut down on available disposal space and raise the cost of a receptacle. The basic limitation is that it be “green.” That rules out pressure treated wood, painted surfaces or treated wood (as in deck treatment). Additionally, some municipalities have specific laws regarding yard waste, such as leaves are to be left at the curb in a special bag at certain times of the year. You want to make sure you know those rules and follow them. Filling your dumpster with waste that is not allowed is a pain to empty and can result in penalties, including fines. Electronics: Some limited electronics can be discarded in a dumpster, but most electronics, particularly computers, monitors, smart devices, etc. have to be discarded and processed separately. That process also comes with a fee. Because of federal laws, some electronics have special rules pertaining to whether they can be thrown in a landfill. And you might be surprised that some recycling centers will pay you for certain electronics. Make sure you talk with an expert before discarding these types of electronics. Chemicals: Never throw chemicals, household or industrial, into a dumpster. They not only can poison the environment, but some of the receptacles they are stored in can also cause injury to personnel if penetrated. Just about every waste service or dump has special rules and fees for disposing of chemical waste. If you are tempted to violate the rules on chemical waste, realize that stiff fines usually accompany deliberate infractions. Batteries: This is another prohibited item. No batteries of any type should ever be thrown into a dumpster or the mainstream of trash. 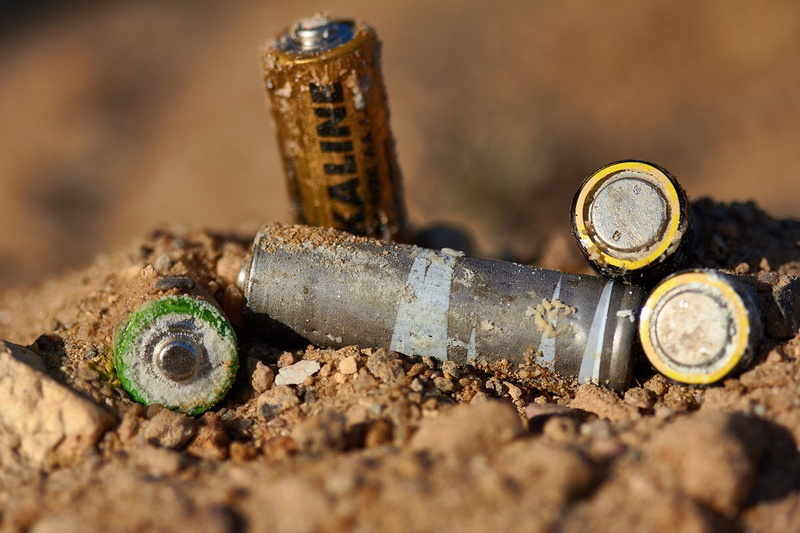 Batteries are a huge environmental issue and they have been known to poison groundwater as they decompose. If you have batteries, like chemicals, work with your waste disposal personnel or dump employees to safely dispose of batteries. Paint: Household paint is also prohibited by most waste management locations. There generally are no exceptions. Not only are there specific rules governing how it is to be processed, but there are also a lot of rules regarding proper packaging of the paint. There are specific locations within each town though where anyone can take paint products for safe disposal. Disposal of waste in Cadillac, MI, is easy, but there are restrictions. The goal is to provide a way for people to get rid of their refuse but under the rules and local laws that govern a clean environment. Check out Fair Waste Services for dumpster options and to ask any further questions regarding local laws governing hazardous waste disposal.